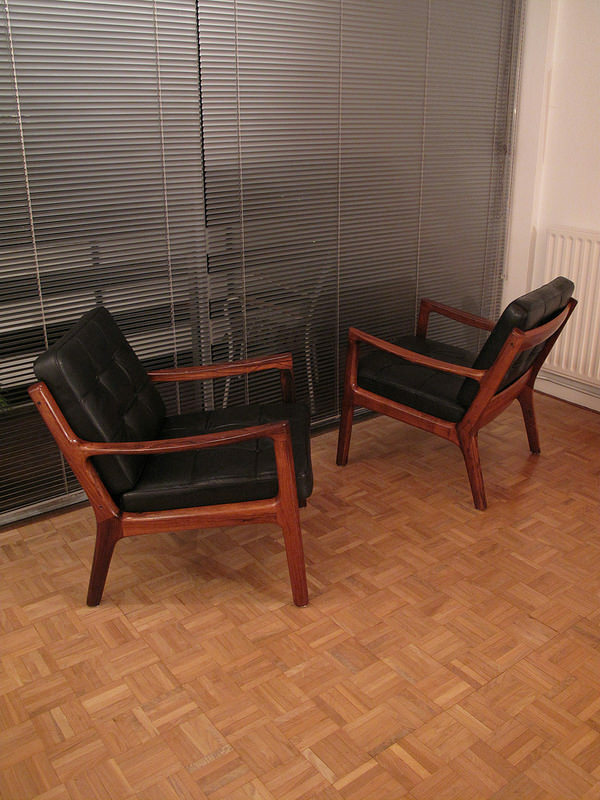 We were lucky enough to have a very similar pair 4 years ago but we have not seen any since. 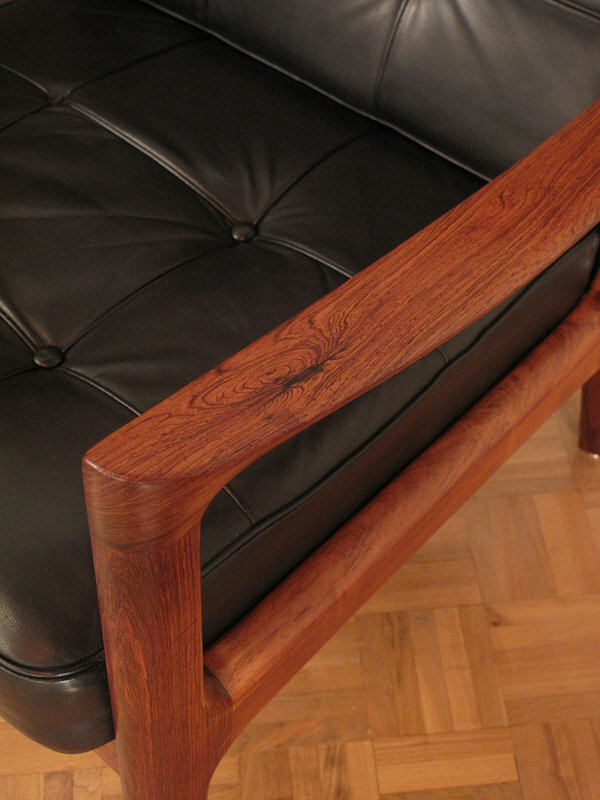 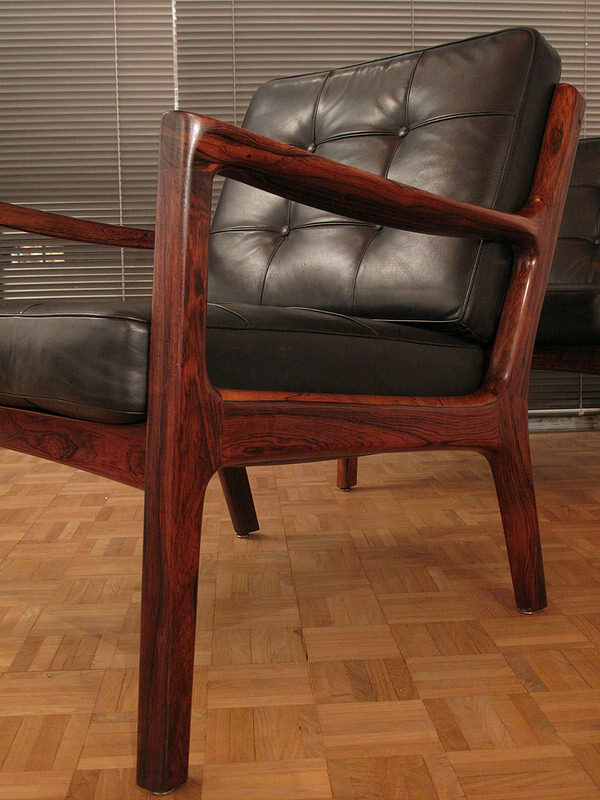 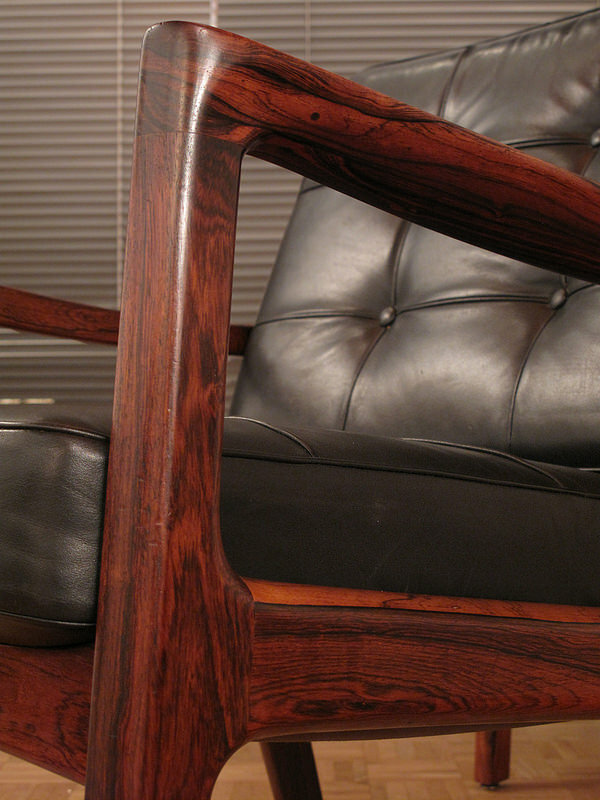 Only a relatively small amount of chairs were produced in rosewood making them very sought after. 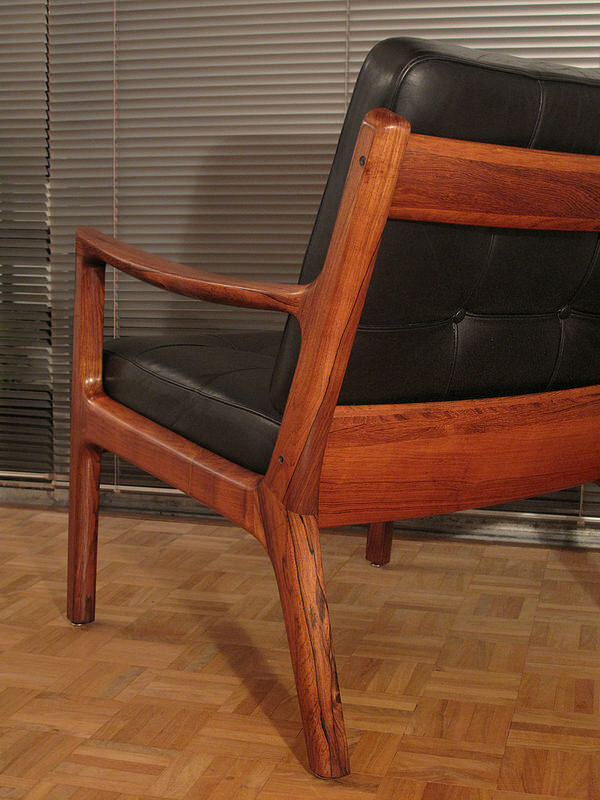 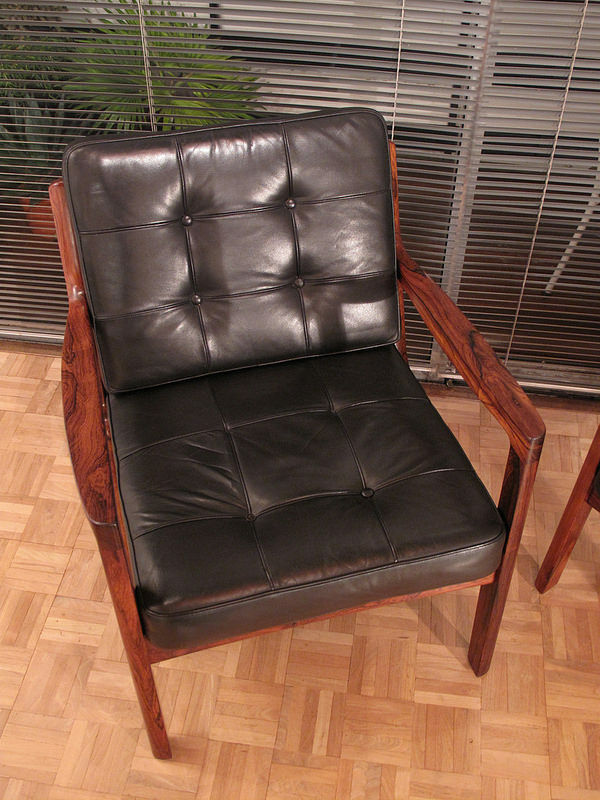 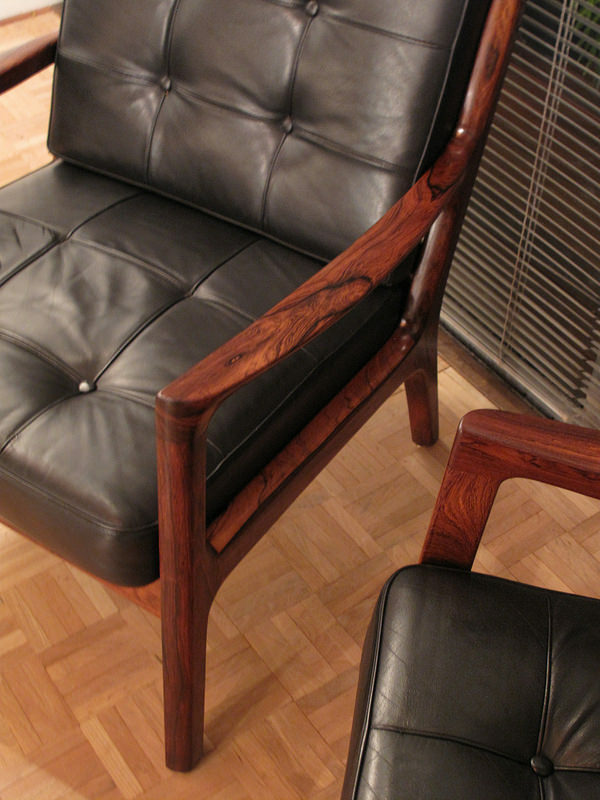 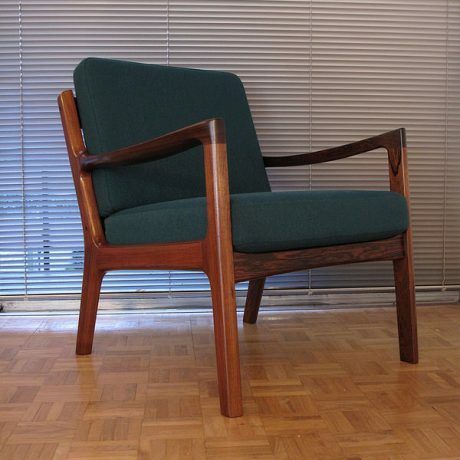 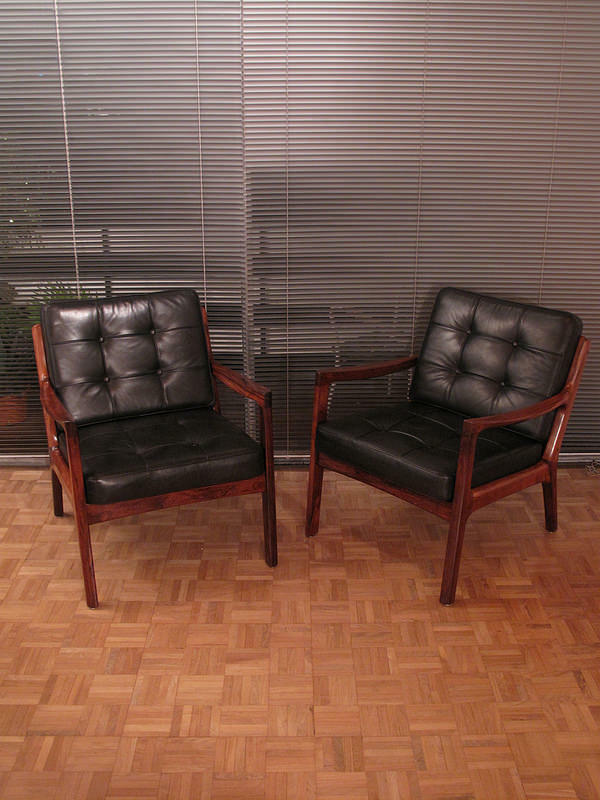 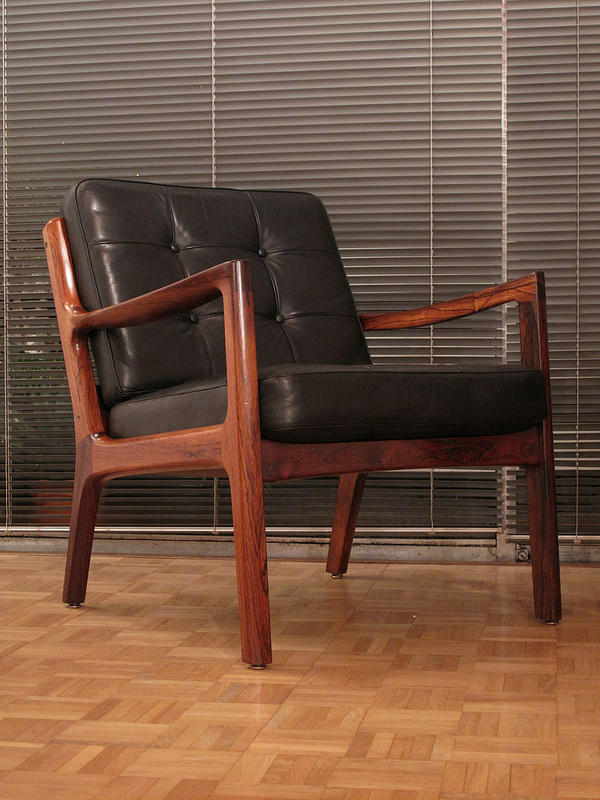 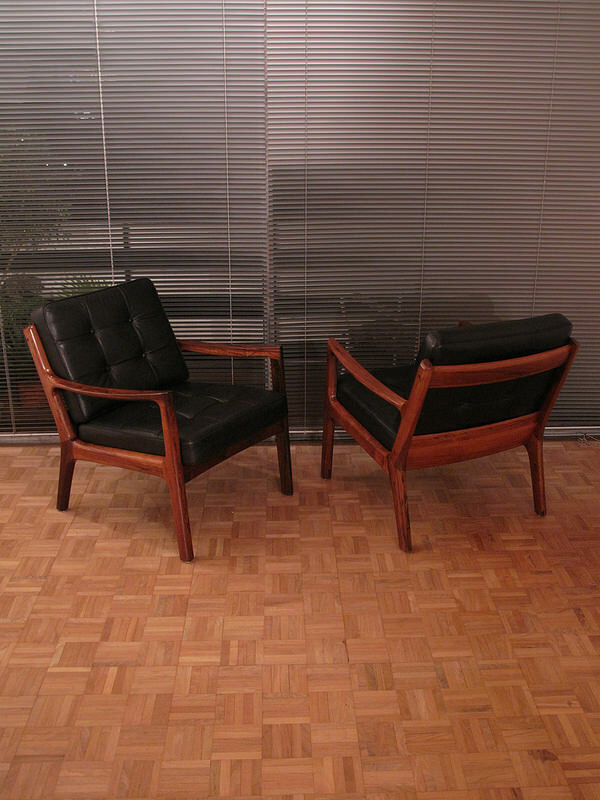 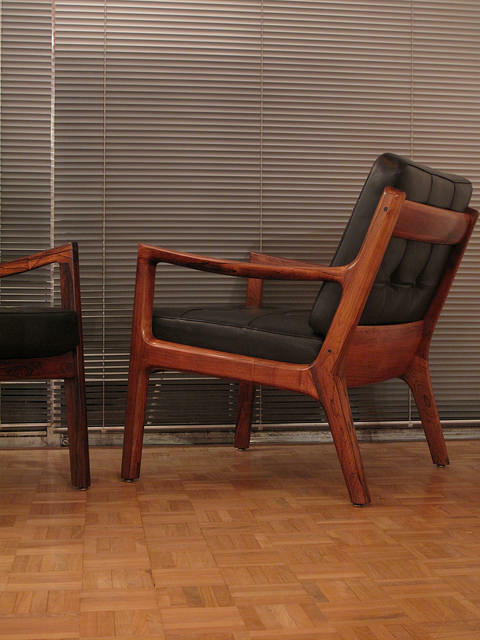 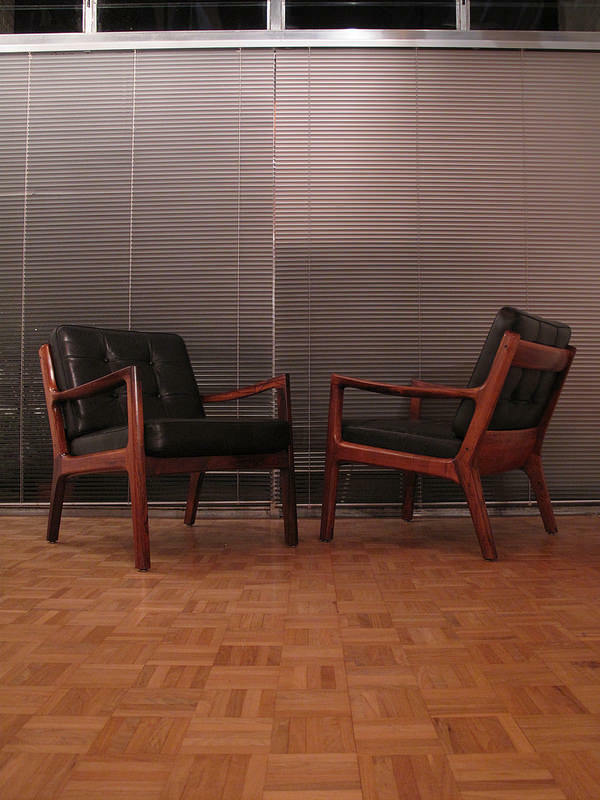 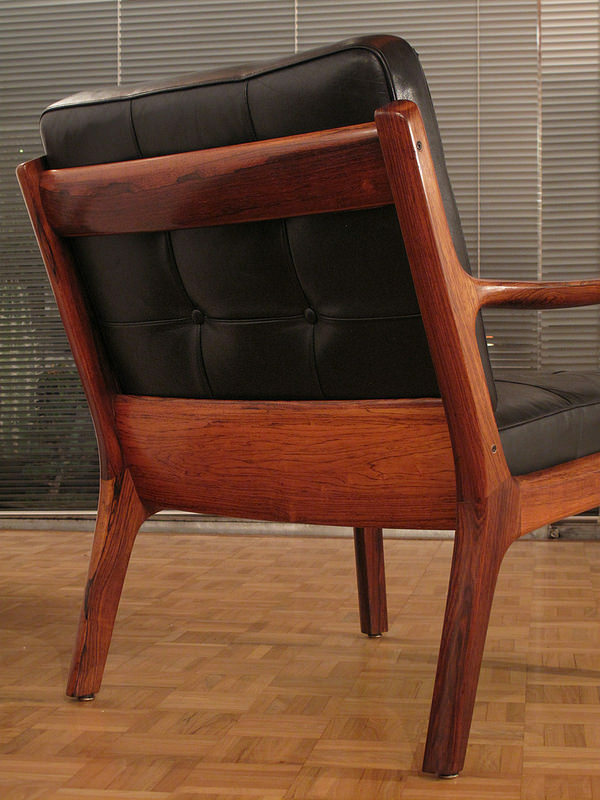 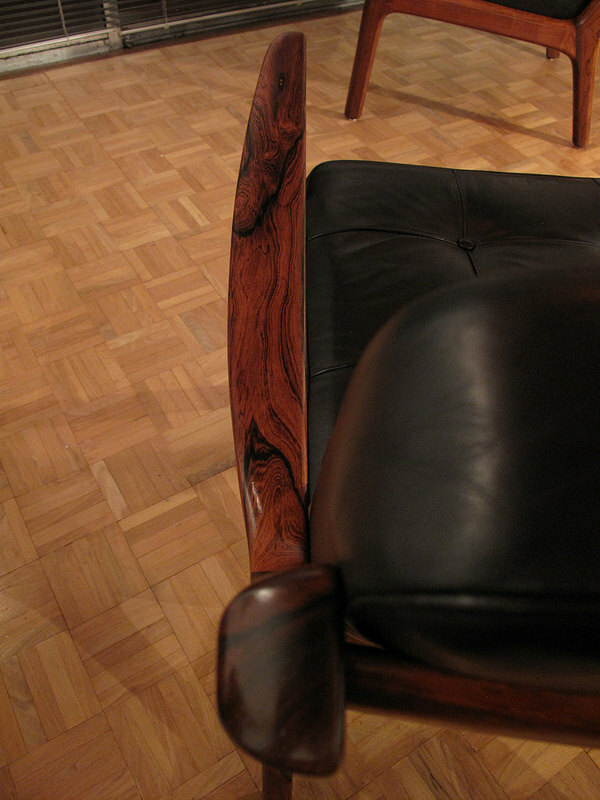 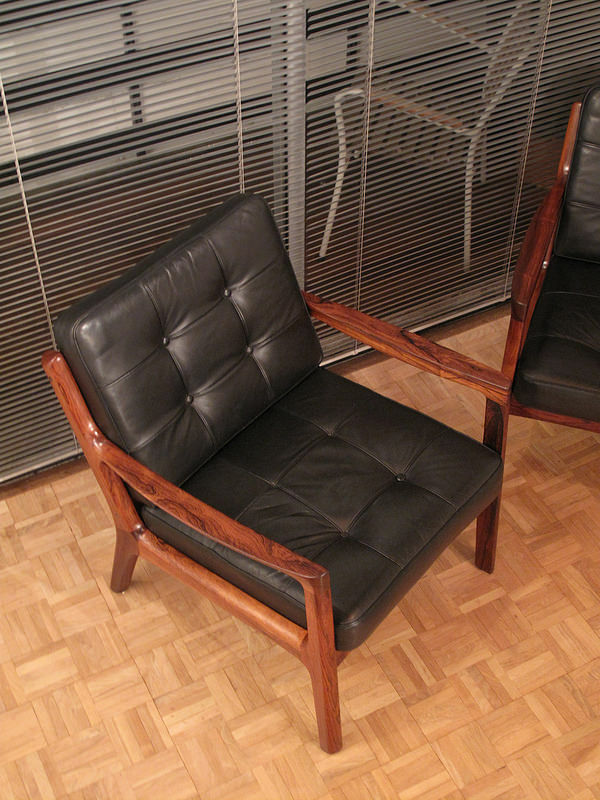 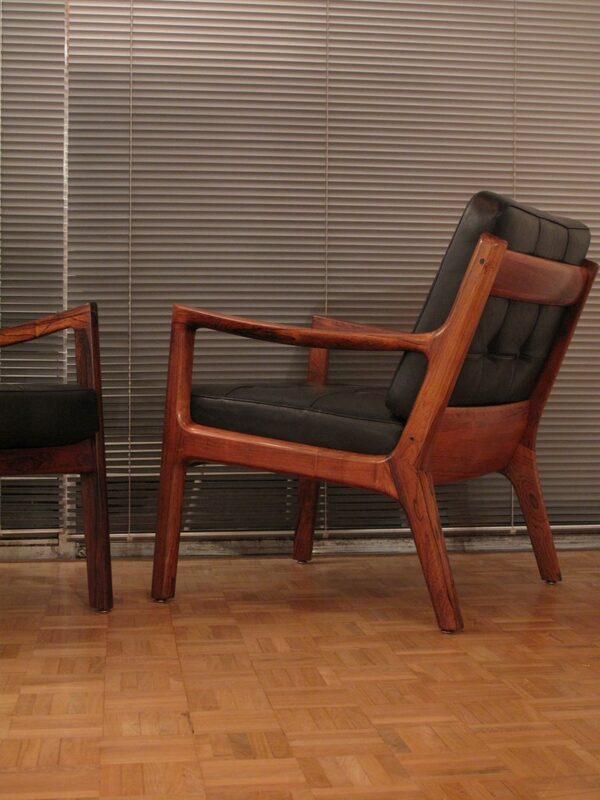 Ole Wanscher updated a previous design for France & Daverkosen in 1956 and called it the Senator chair. 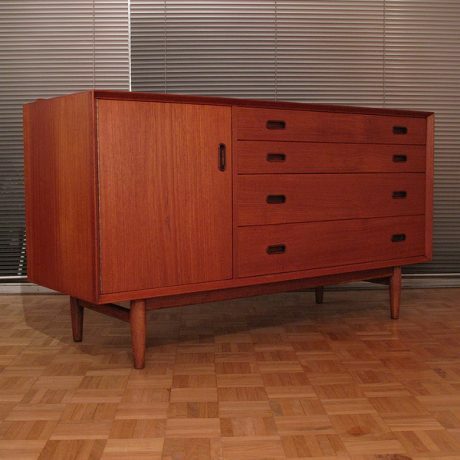 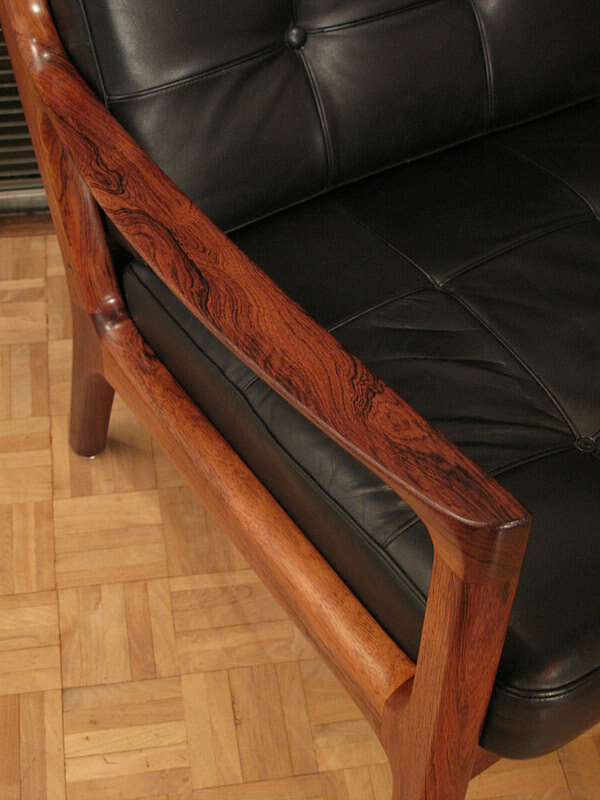 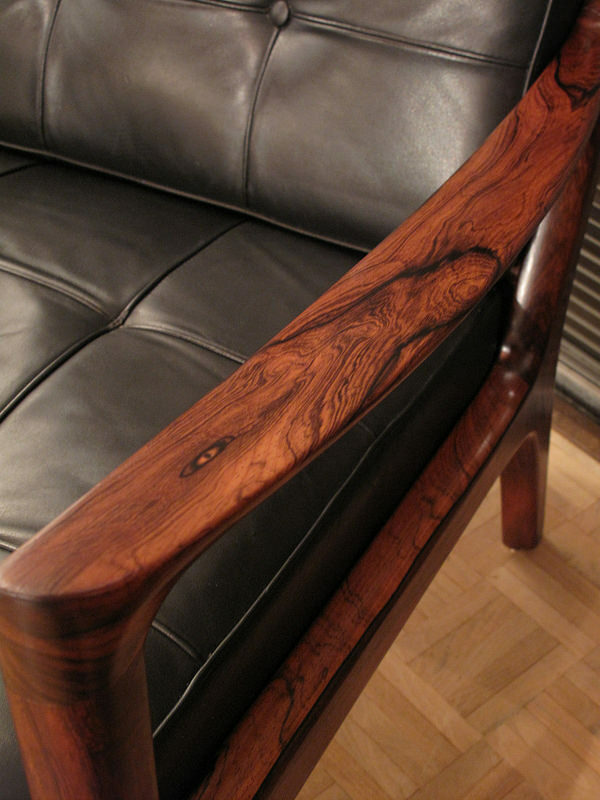 It is a design that looks absolutely amazing when executed in rosewood. 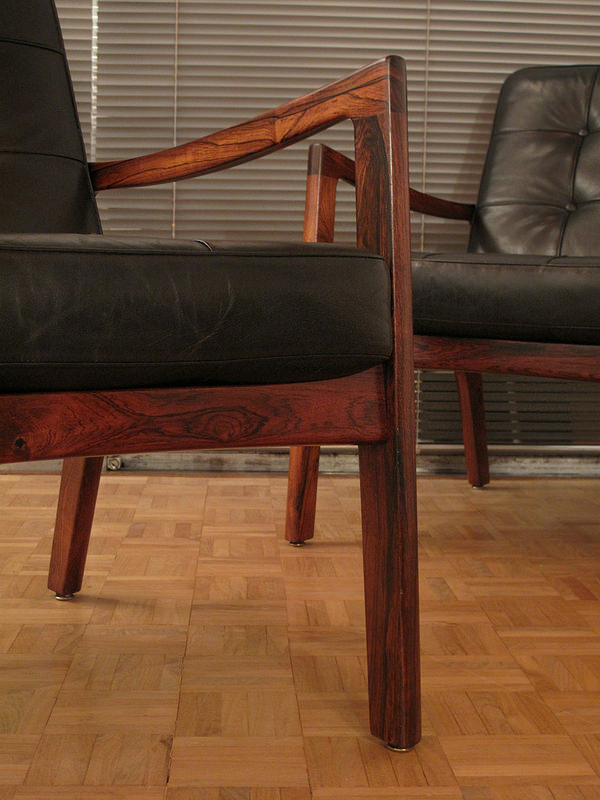 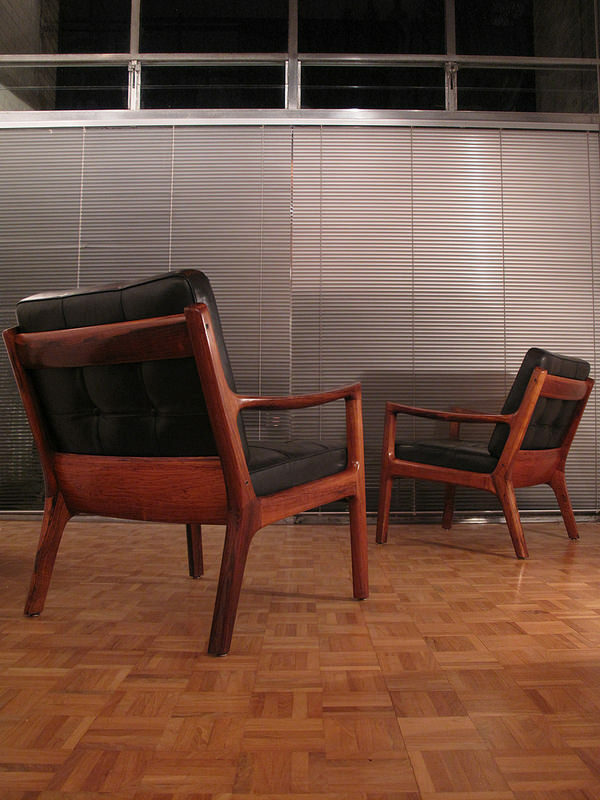 This particular pair use the most highly figured and lush Brazilian rosewood we have seen in their construction. 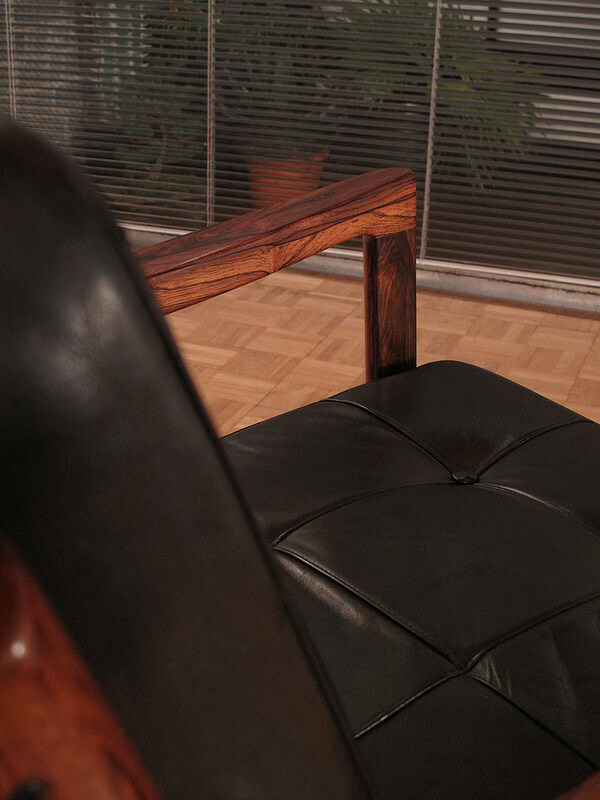 Offered with the original black leather tufted cushions, at the time of photography there were a few buttons missing on the seat cushions, these will probably be replaced by the time of reading. 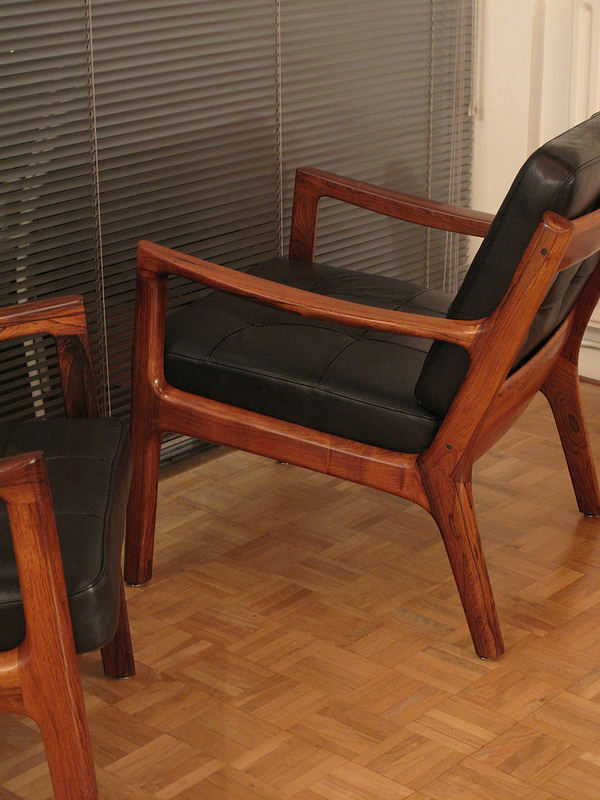 Produced by France & Son the production values of these chairs is as high as you will find anywhere, the quality can’t be beaten.